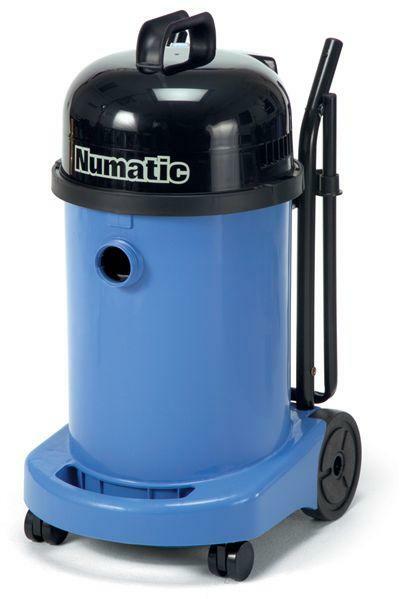 NUMATIC WV470. 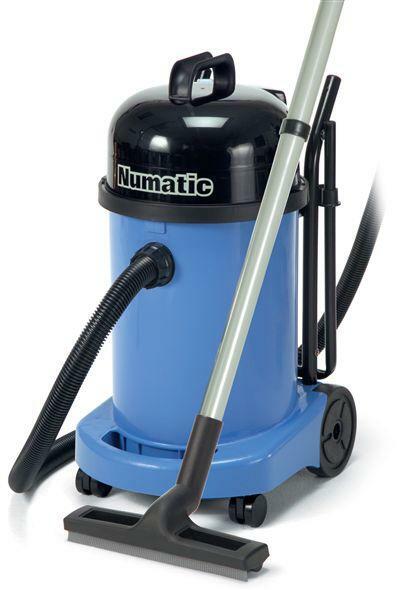 A heavy duty medium size commercial vacuum cleaner that performs equally well whether it is being used wet or dry. 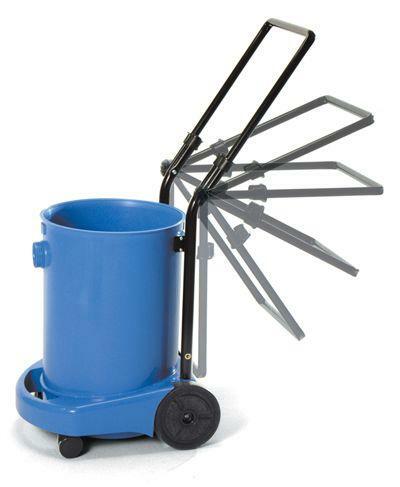 A folding handle design allows easy movement when in use and compact storage. use is that we do not mix the functions of wet and dry operation, otherwise the result can be a container of mud which becomes difficult to empty and will be detrimental to performance. 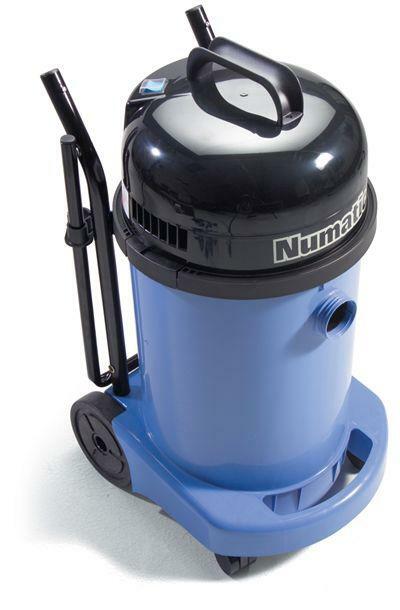 All machines are wet or dry and the change from one to the other is designed to be simplicity itself exchanging a dry filter for wet safety float valve and a change of floor nozzle, or vice versa. 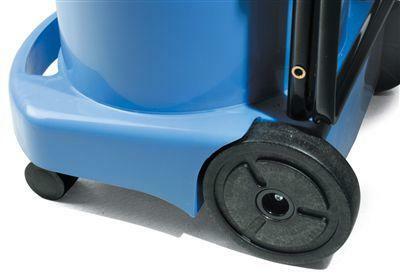 Although twice the capacity we have added a folding handle design allowing easy movement when in use whilst also allowing compact storage. The accessory kit provides tools for both wet and dry operation with stainless steel tube sets as standard.